DRW is pleased to offer our new Family Friendly Guide to Services for Milwaukee County Special Needs Children and Youth and their Families. This Guide is designed as a resource to increase awareness and access to services for Milwaukee African American children with a disability and their families. The Guide includes information about how to apply for various community programs for Milwaukee children and youth with a disability or special needs. We hope it will be helpful to families and to service providers, clinicians, educators, and others. It is part of DRW’s Project EASSY, Equal Access for Special Needs Services for Youth. The Guide is available online as a PDF. DRW is pleased to provide printed copies of the Guide at no charge to families and community organizations including agencies that serve youth, schools, clinics, churches, etc. Click here to order one or more copies of the Guide. Milwaukee County Children and Young Adult Mental Health Services including Comprehensive Community Services, REACH, and more. Our heartfelt thanks to the participants in DRW’s African American Parent Advisory Group and the many other parents in the community who shared their suggestions and experiences with us. Their ideas and experiences seeking services, were key in shaping the format and content of the Family Guide. We thank these caring parents for so generously sharing their insights and experience. 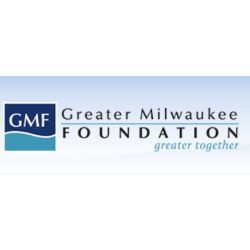 A grant from the Greater Milwaukee Foundation helped support this Guide.